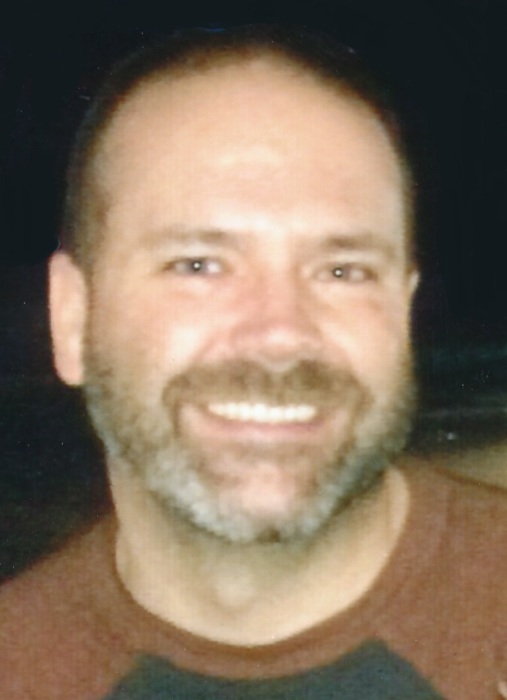 Matthew Sean Martens, 44, of Green Bay, was taken Home to his eternal rest on Saturday, January 26, 2019. Matt was born July 20, 1974 in Milwaukee, the son of Gerald and Sandra Martens. He spent his early childhood growing up in Mequon before moving to Egg Harbor with his family at the age of ten. Matt attended Zion Lutheran School in Egg Harbor and graduated from Sevastopol High School in 1992. He then went on to study at UW-Oshkosh, where he received his B.A. in Business Administration. After college, Matt began working for Ryder Truck Rental in Neenah and then Fastenal in Little Chute for a few years before moving on to Hallman/Lindsay Paints in Ashwaubenon. Matt was an avid Brewer, Badger, and Packer fan and also enjoyed his Friday night bowling league. He acquired the love of the outdoors from his dad and grandpa and could often be found tinkering in his garage or his dad’s shed. Matt had a big heart and was always willing to lend a hand to whoever needed one. Matt had a deep love for his family and always enjoyed time he was able to spend with them as well as the times he spent with his many friends. His smile and fun-loving personality were evident by all he came in contact with. Matt is survived by his mother, Sandra; siblings, Scott (Jodie) Martens of Grafton, Richard (Terry) Martens of Jacksonville, Florida, and Kristyn (Barry) Johanek of De Pere; and fiancé, Lisa Gillaume. He is further survived by his nieces, Callie and Mikaylah Martens; nephews, Caleb Martens and Brody and Blake Johanek; as well as his loyal, rescued companion dog, Rufus. Matt was preceded in death by his father, Gerald and his maternal and paternal grandparents. Matt’s life will be honored with a funeral service held at 11:00 a.m. on Saturday, February 2, 2019 at Zion Ev. Lutheran Church in West Jacksonport with Pastor Peter Lindemann officiating. Matt will be laid to rest in the church cemetery. Relatives and friends may visit with Matt’s family at Huehns Funeral Home in Sturgeon Bay on Friday, February 1, 2019 from 4:00 p.m. until 8:00 p.m. and also at Zion Ev. Lutheran Church on Saturday from 9:00 a.m. until 10:45 a.m. A devotion will conclude the visitation at the funeral home on Friday at 8:00 p.m. Expressions of sympathy, memories, and photos of Matt may be shared with his family through his tribute page at www.huehnsfuneralhome.com.